For more than twenty–five years, On Being a Therapist has inspired generations of mental health professionals to explore the most private and sacred aspects of their work helping others. 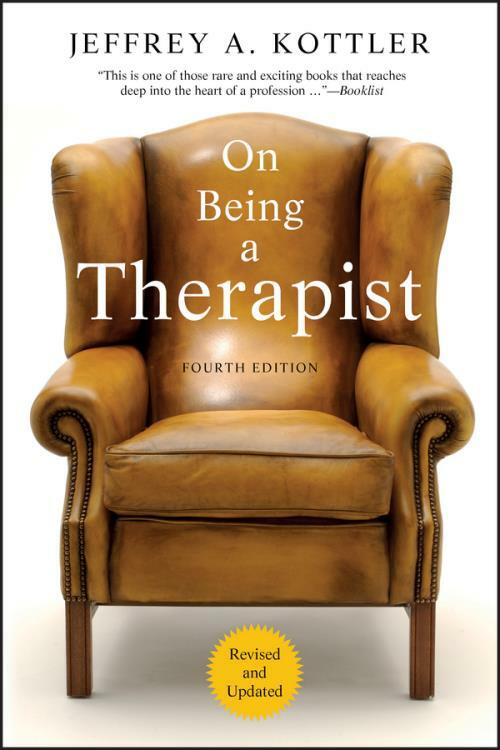 In this thoroughly revised and updated fourth edition, Jeffrey Kottler explores many of the challenges that therapists face in their practices today, including pressures from increased technology, economic realities, and advances in theory and technique. He also explores the stress factors that are brought on from managed care bureaucracy, conflicts at work, and clients′ own anxiety and depression. This new edition puts the spotlight on the therapist′s role and responsibility to promote issues of diversity, social justice, human rights, and systemic changes within the community and the world at large. 2 Struggles for Power and Influence. 3 Personal and Professional Lives. 4 How Clients Change Their Therapists. 5 Hardships of Therapeutic Practice. 6 Being Imperfect, Living with Failure. 7 Patients Who Test Our Patience. 9 That Which Is Not Said. 10 Lies We Tell Ourselves and Others. 11 Alternative Therapies for Therapists. 12 Toward Creativity and Personal Growth. Jeffrey A. Kottler is professor, Department of Counseling, California State University, Fullerton. He is the author or coauthor of more than eighty books, including the New York Times best seller The Last Victim, Divine Madness, Creative Breakthroughs in Therapy, and Changing People′s Lives While Transforming Your Own. He is also head of the Madhav Ghimire Foundation, which provides scholarships for at–risk girls in Nepal.